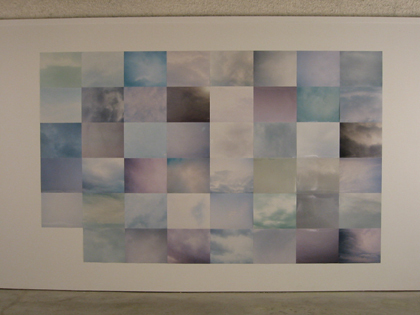 Cloudy sky was shown in my solo exhibition The Stardust Memory (Kaihatsu's case) in 1997. The work is a series of 47 photographs of cloudy sky, those taken in each prefecture of Japan. I photographed one in Tokyo and asked voluntary participants to take pictures of other 46 prefectures. Now I am planning to photograph the cloudy skies of all 50 states of the United States. For me, gray characterizes Japaneseness: Gray addresses ambiguity and neutrality and the color is actually produced by mixing black and white. It is never a skin color.